Endowed with warmth, body and clarity, the H4A is a versatile high output pickup that is perfect for everything from blues to rock to metal. The tone is very well-balanced, with solid bass, pronounced mids, and fat highs. The response of this passive humbucker is achieved by utilizing vintage wound coils loaded with Alnico V bar magnets which are fully shielded for minimal noise. 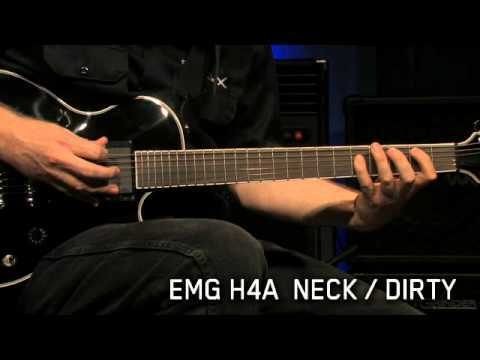 The H4A is often used in the neck position, and is commonly paired with its ceramic magnet cousin, the H4 in the bridge for a unique balance of tones. The H4A shines with superb clarity, full body, and delicate responsiveness which will suit almost any style of music. I've tried multiple sets of 81/85's which I loved but I also tried 57/66's as well as a 60 due to their PAF quality voicing. 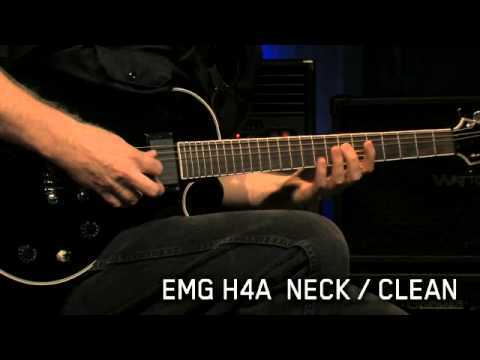 I have to say the H4A in the bridge blows these others out of the water with its sound. I bought an H4 to accompany it but decided I wanted to try the H4A in the bridge which I'm glad I did! 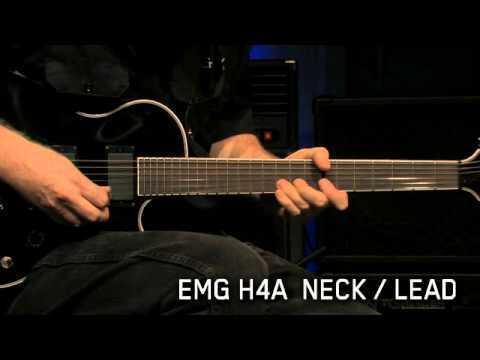 This pickup gives you so much articulation and precision, it's unbelievable! My favorite sounds are Judas Priest (Richie Faulkner) and Journey (Neal Schon) and I feel like I can achieve any point of the tone spectrum easily. Buy these! This is the other pickup I installed. Again the difference in sound is night & day. I now have 11 instruments (Guitar & Basses), that have EMG pickups, passive and active....EMG IS THE BEST!!! Excellent pickup for high gain sounds! Leads just soar, with clarity and unparalleled warmth. MusicNomad's guitar towel uses super soft, high quality microfiber, which contains 90,000 microfibers per square inch.